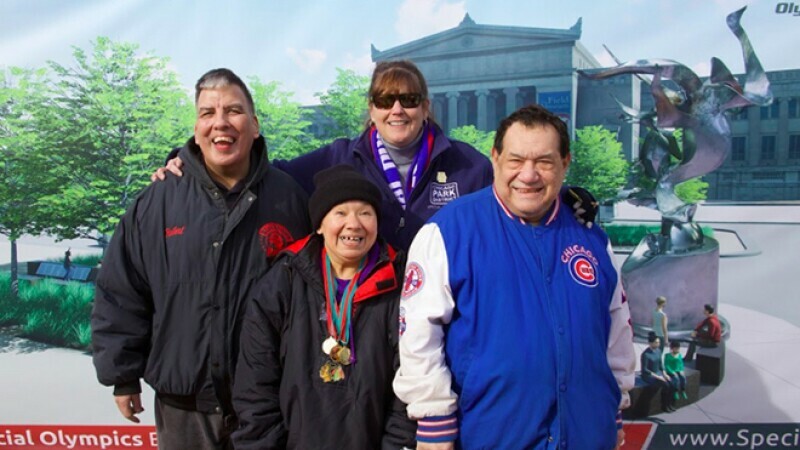 The monument will be located outside of Soldier Field—recognized as the birthplace of Special Olympics. 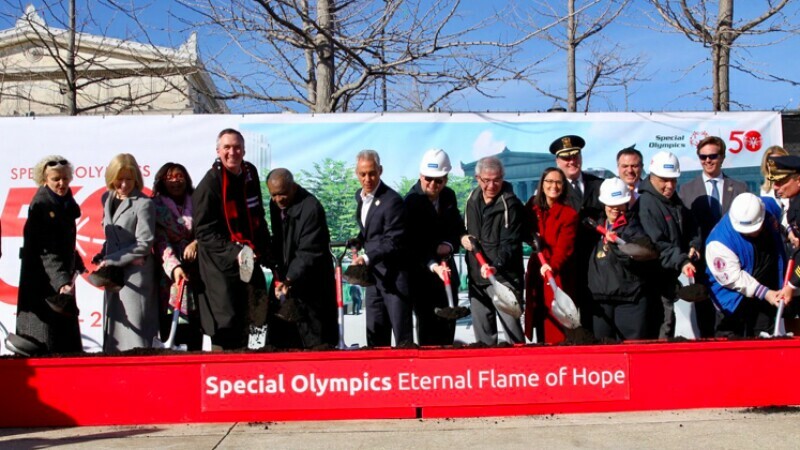 Today, Special Olympics officials joined the Chicago Park District at a groundbreaking ceremony held for the Eternal Flame of Hope—a permanent, 30-foot monument for Special Olympics at Soldier Field, the site of the first games 50 years ago. The Eternal Flame of Hope will be located on Soldier Field’s North Lawn, off of McFetridge Drive. City of Chicago Mayor Rahm Emanuel, Chicago Park District Superintendent Mike Kelly, Special Olympics International CEO Mary Davis, Illinois Supreme Court Justice Anne Burke and four Special Olympics athletes who participated in the first games in 1968 attended this afternoon’s ceremony to celebrate the monument as a symbol of inclusion. On July 20, 1968, nearly 1,000 athletes with intellectual disabilities from 26 states and Canada came together at Soldier Field for the first ever International Special Olympics Games. The event was a significant moment in a worldwide civil-rights movement for children and adults with intellectual disabilities. The idea for Special Olympics came from then 23-year-old Anne McGlone Burke, a Chicago Park District instructor who in 1967 was running a program for children with intellectual disabilities at West Pullman Park. She presented the idea of a citywide track meet to Eunice Kennedy Shriver, the Joseph P. Kennedy Foundation and City of Chicago Mayor Richard J. Daley. It was the combined resources and commitments of the Kennedy Foundation, Daley and others that led to those first games. 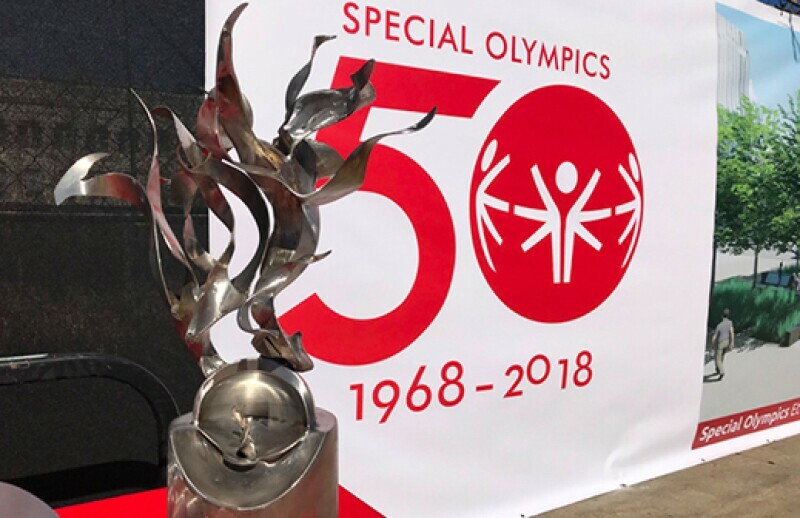 “No matter your title or your job, whether you were a pipe fitter, a lifeguard, a teacher or a volunteer, the first International Special Olympics Games brought everyone together in a citywide effort. The first games created a contagious affection for these children and adults. Instead of being shut away, individuals with intellectual disabilities were finally seen for what they were and are—people with hopes, dreams and enormous potential,” Illinois Supreme Court Justice Anne Burke said. This summer, July 17–21, Chicago will again host athletes from around the world for a 50th anniversary celebration. On July 20, law enforcement officers from across the region will run alongside Special Olympics athletes in the Law Enforcement Torch Run. This 4-mile run will take place on the lakefront bike path and will conclude with the lighting of the Eternal Flame of Hope. Today, Special Olympics is a global inclusion movement that reaches 5 million athletes in 172 countries using sport, health, education and leadership programs every day around the world to empower people with intellectual disabilities. Many other events will also be taking place July 17–21. The Special Olympics Unified Cup competition at Toyota Park will include a total of 24 international soccer teams made up of athletes with and without intellectual disabilities. July 21 will represent a Global Day of Inclusion at Soldier Field, with sports activities, interactive games, exhibits, delicious food offerings and live entertainment. The week of celebrations will come to a close with a star-studded evening of inspiring entertainment at Huntington Bank Pavilion at Northerly Island. More information about the week’s festivities can be found at www.specialolympics50.org. Special Olympics is a global inclusion movement using sport, health, education and leadership programs every day around the world to end discrimination against and empower people with intellectual disabilities. Founded in 1968, and celebrating its 50th Anniversary this year, the Special Olympics movement has grown to more than 5 million athletes and Unified partners in more than 170 countries. With the support of more than 1 million coaches and volunteers, Special Olympics delivers 32 Olympic-type sports and over 108,000 games and competitions throughout the year. Special Olympics Illinois provides opportunities for more than 22,500 of these athletes, more than 20,000 Young Athletes (ages 2–7 years old), 45,000 volunteers and thousands more people statewide through 18 Area programs in all 102 counties of the state. 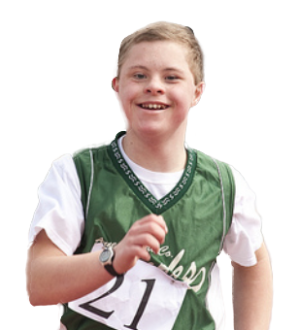 Special Children’s Charities is the fundraising arm of Special Olympics in Chicago. In cooperation with the Chicago Park District, Chicago Public Schools and Special Olympics Illinois, Special Children's Charities is committed to providing year-round sports training, recreational and social programs for the children and adults of Special Olympics in Chicago. Appointed by Mayor Rahm Emanuel in 2011, Kelly is charged with the oversight of the $450 million urban park system that serves more than 41 million patrons annually. Under his leadership in 2014, the Chicago Park District was awarded the National Gold Medal Award for Excellence in Park and Recreation Management for the first time in the agency’s history. Superintendent Kelly is an avid supporter of open space and improving the quality of life for Chicago residents through parks and recreation opportunities. Kelly has visited all 589 of Chicago’s parks, and measures success by the number of children served. Superintendent Kelly has worked for the Chicago Park District since 2003; previously as Chief Operating Officer, First Deputy General Counsel and Director of Intergovernmental and Community Affairs. He earned a JD from DePaul College of Law in Chicago, and a BA in Political Science from John Carroll University in Cleveland, Ohio. He is married, and the father of four children. He and his family reside in the West Morgan Park community of Chicago. Anne M. Burke was born on Feb. 3, 1944, in Chicago. She received her BA in education from DePaul University and her JD from IIT/Chicago-Kent College of Law. She was admitted to the Federal Court, Northern District of Illinois, in 1983, the United States Court of Appeals for the 7th Circuit in 1985, and certified for the Trial Bar, Federal District Court in 1987. In 1996, she was elected to the Appellate Court, First District, for a full term. Justice Burke is a member of the American, Illinois State, Chicago, and Women's Bar Associations and The Illinois Judges' Association. In 1967, at age 23, she was a Chicago Park District instructor who ran a program for children with intellectual disabilities at West Pullman Park. She presented the idea of a citywide track meet to Eunice Kennedy Shriver and City of Chicago Mayor Richard J. Daley, which led to the first Special Olympics Summer Games, which took place the following summer of 1968. She is married, and the mother of five children, as well as nine grandchildren. Mary Davis is the CEO of Special Olympics International, a movement that currently serves nearly 5 million athletes with intellectual disabilities, holds more than 94,000 competitions annually and welcomes more than one million coaches and volunteers who help make grassroots operations possible. Mary started with Special Olympics soon after college as a local program volunteer and coach. Since then she has served in a series of leadership roles, helping create our first-ever Regional games, the 1985 Special Olympics European Games, working to build a powerful national Program as CEO of Special Olympics Ireland, and helping globalize the movement as CEO of the first Special Olympics World Summer Games held outside the US, which were the 2003 Games in Ireland. Mary is married to Julian Davis and has four children: Jonathan, Rebecca, Emma and Patrick. Eric Baumann is an enthusiastic, kind hearted, compassionate young man who has been participating in Special Olympics since 1995. He competes in nine different sports, formally served on the Special Olympics Illinois Board of Directors and currently serves on his local planning games committee and Polar Plunge committee. He often volunteers for Special Olympics, too, in whatever way he can. Eric began his Special Olympics career throwing a tennis ball as a 9-year old-boy, and for the past five years he advance to competing in the Penthalon. He also competes in flag football, basketball, snowshoeing, bowling, bocce and softball. Eric is passionate about music, social media and finds much joy in meeting new people. Eric lives by himself in an apartment in Vienna, Ill. and has both a full time job and a girlfriend. He also lives daily with Asperger's and anxiety. As an athlete, he has earned over 140 medals and counting. He loves being with his teammates and has had the opportunity to travel to compete on a local, state, national and international stage. Along with his team, the Lightning Bolts, he also competed in tournaments in Nebraska and Florida for flag football. Being born with Autism, the world of Special Olympics has helped Eric to develop peer friendships, to improve and care about his personal appearance, and it has also helped teach him to learn social norms that are difficult for him. Special Olympics gives him a great sense of pride and accomplishment. Eric’s most memorable experience has been receiving a silver medal for athletics at the Special Olympics World Games in Ireland in 2003.